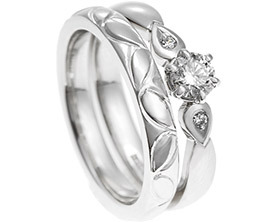 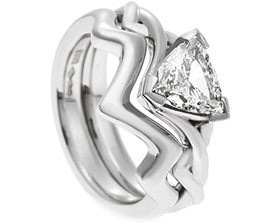 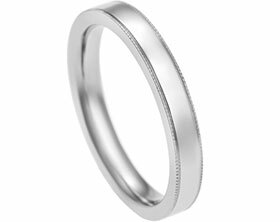 This striking palladium wedding ring was designed to compliment the engagement ring and match the profile and depth exactly. 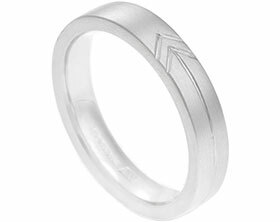 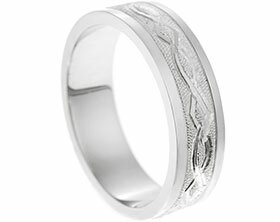 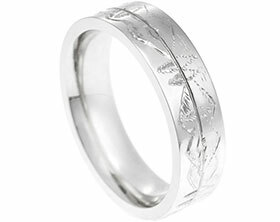 The hand engraved, waved line runs horizontally around the ring and features contrasting polished and tunstall finishes, one on either side. 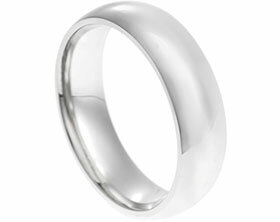 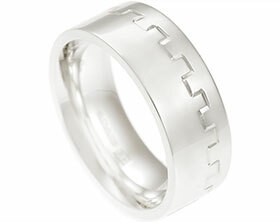 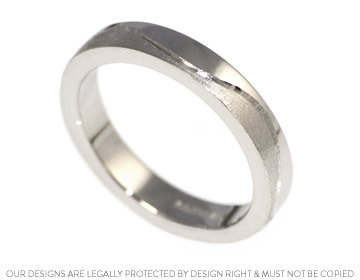 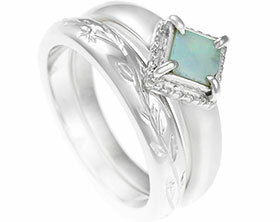 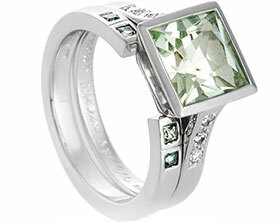 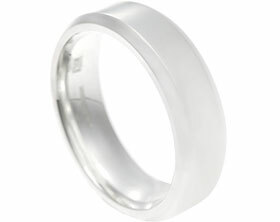 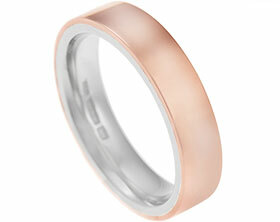 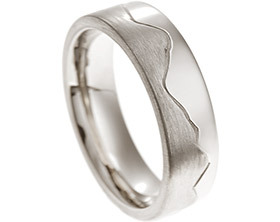 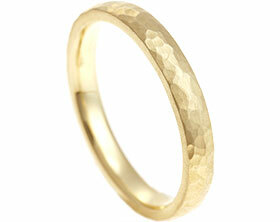 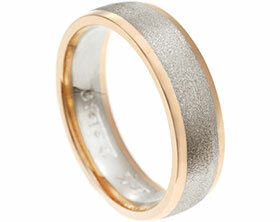 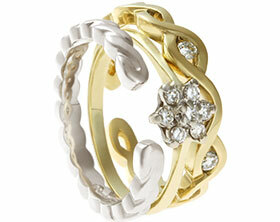 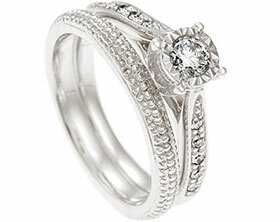 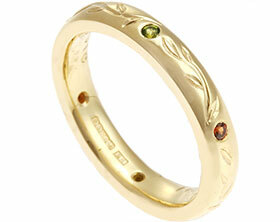 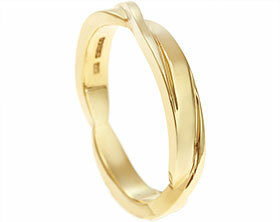 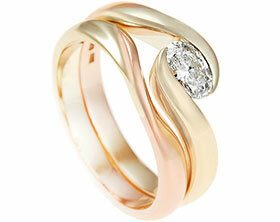 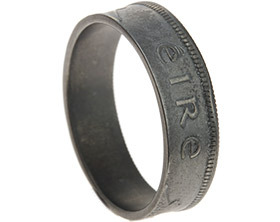 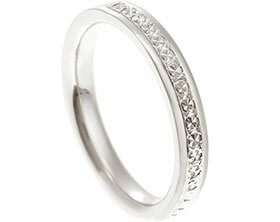 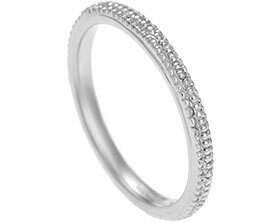 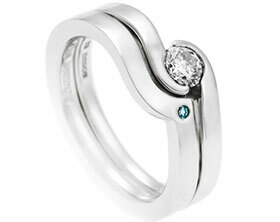 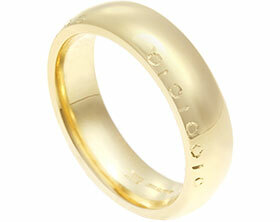 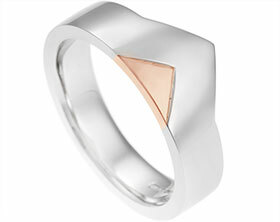 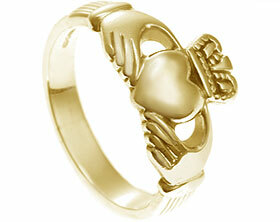 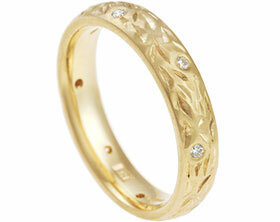 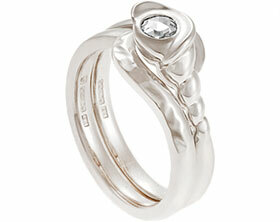 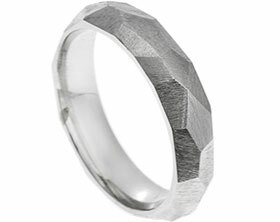 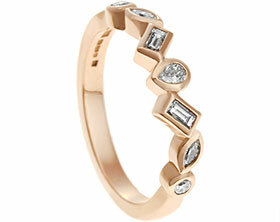 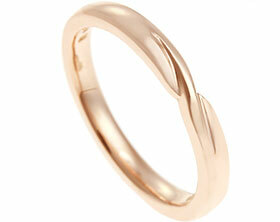 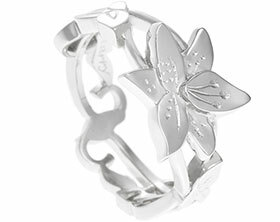 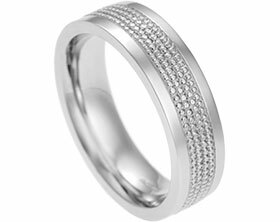 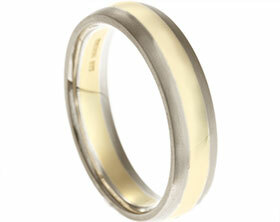 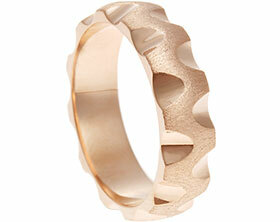 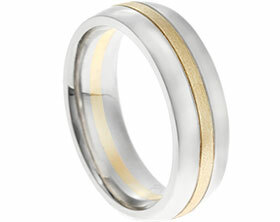 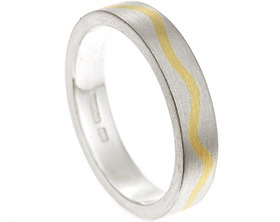 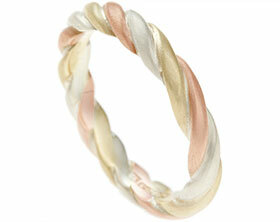 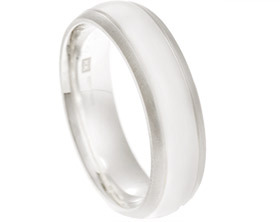 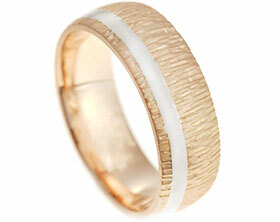 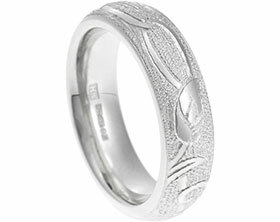 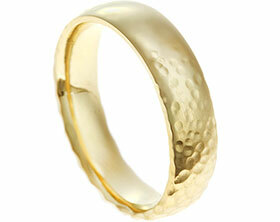 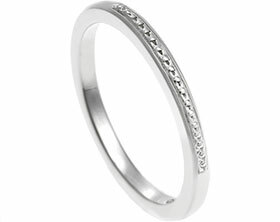 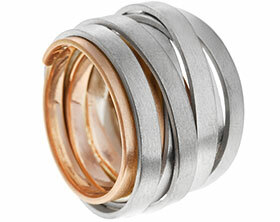 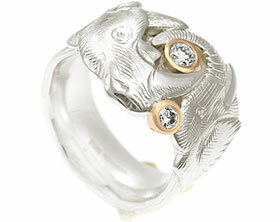 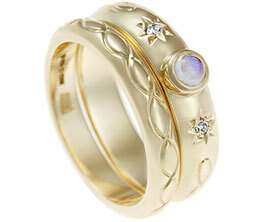 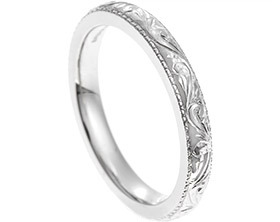 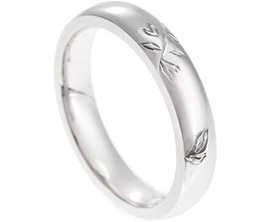 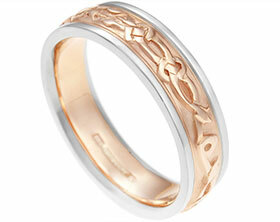 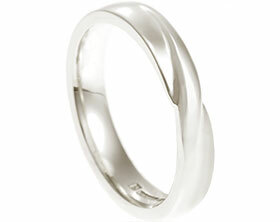 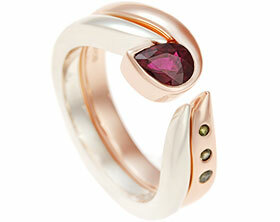 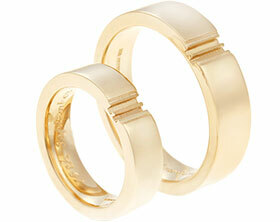 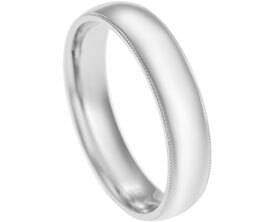 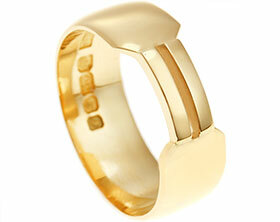 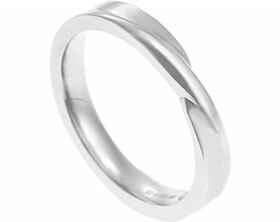 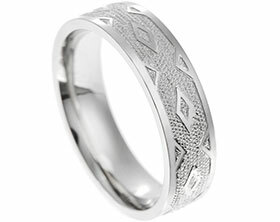 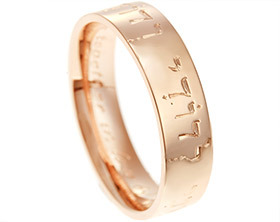 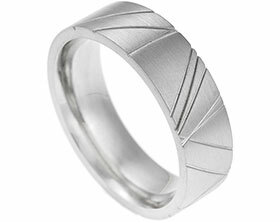 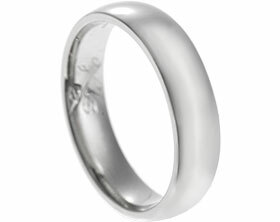 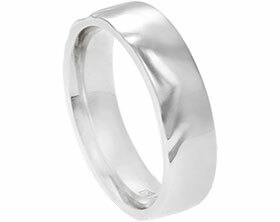 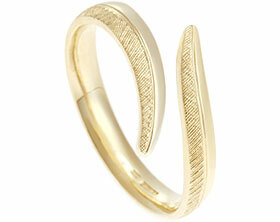 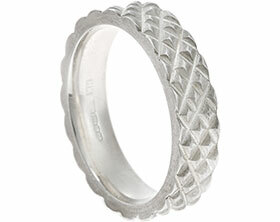 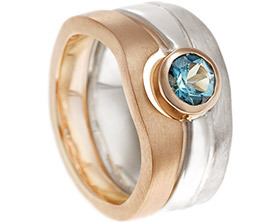 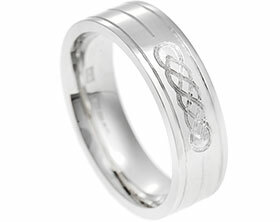 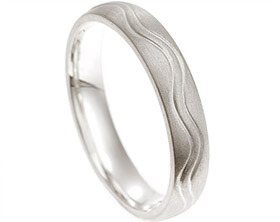 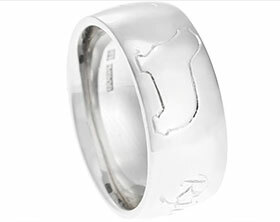 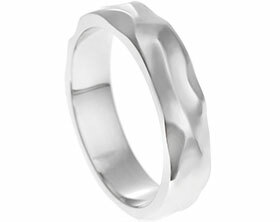 The straight band has a flat profile and looks great when worn with and without the engagement ring.